Packers Distributing Company is business-to-business. They are a family-owned company, and work closely with customers. Still, they found themselves at a competitive disadvantage without a website. 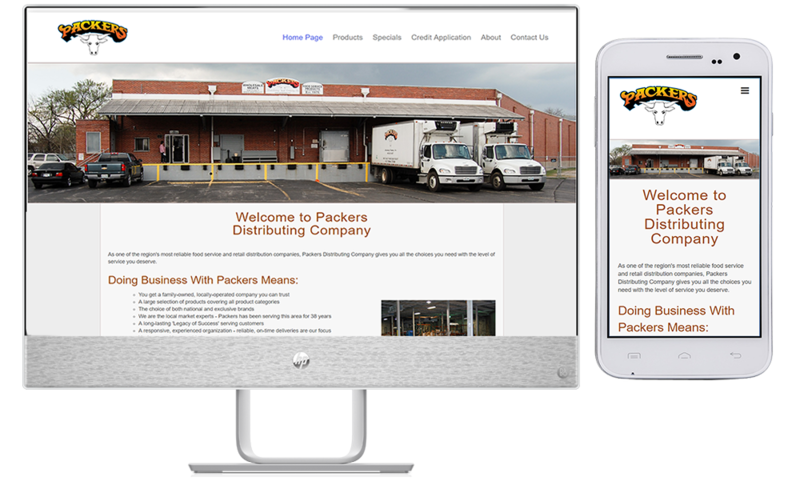 The websites helps Packers' customers expedite purchasing. Prices lists and order forms are easily downloaded. We keep inventory information current, with downloadable PDF inventory sheets that we update as needed. Most of the company's customers build relationships with theirs own sales rep. We built the About Us page with a photo gallery, so customers could see the entire staff. This lets new and prospective customers put faces to names and phone voices. Customers can also learn more about the company, which adds to their confidence when choosing Packers as their food distribution source.